At least one early sale hit eight figures. Van de Weghe sold a brushy Picasso portrait, Tete de Femme (1971), which was listed at $17 million, within the first few hours. Hauser & Wirth sold a new painting by Mark Bradford to a collector who has promised it to an American institution for a list price of $5 million and Philip Guston‘s Shoe Head (1976) for $7.6 million, which hasn’t been shown since the year it was made. Maybe spelling artists’ names is not the strongest point of this article, but it does report strong sales during the first hours of the fair. William N. Copley is off to a great start during this edition of Art | Basel Miami - with a show of rarely seen historical paintings at the ICA Miami and several works presented at the fair by Kewenig Gallery and Paul Kasmin - promising several positive results for this artist. This beautifully designed book is devoted to the artistic fireworks and optical accomplishments of German-born New York City resident Charline von Heyl (born in 1960), whom one critic has called “the most exciting American painter right now.” The charismatic intelligence pictured in these ever-changing, highly charged, intensely graphic, and profusely colored paintings may well convince you of that. Von Heyl’s is a restless mind and eye. Her work thrives on continual probings of painting’s every tenet: surface, color, viscosities, composition, form, configurations, ideas of beauty, ugliness and risk-taking. As seen in this dual English-and-German volume, it’s no wonder that von Heyl is admired as an “artist’s artist” — someone infinitely admired by fellow practitioners. She really does bring an incredibly complex set of visual-conceptual talents, techniques, tools, and optically alchemical magic to every painting. 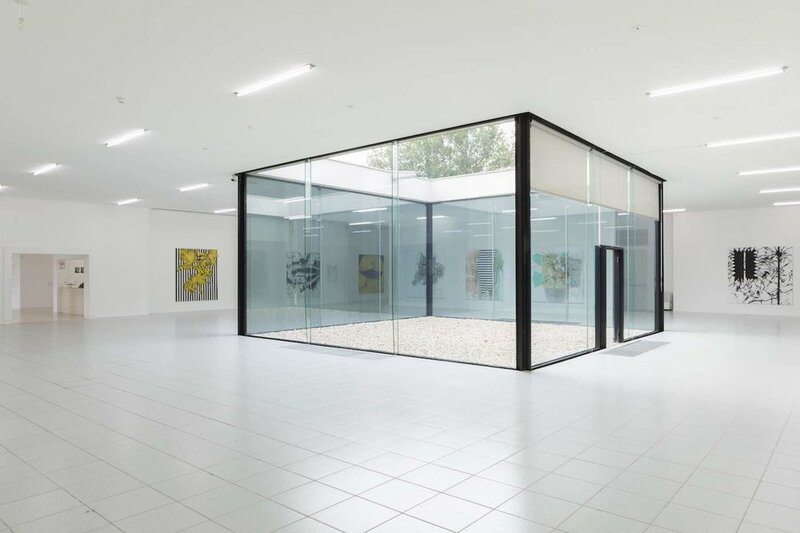 art dealer’s house website live! Surrounded by art and design, Art Dealer’s House offers you the comfort and luxury to get inspired, talk business or have a festive evening with good food and great wines. Work in progress…. Wout Neutkens’ Flower made in marble. After two bronzes Wout Neutkens’ third work is now produced in marble. Flower (2017) is almost finished at the marble carver in Italy. The work is made from Carrara marble which means it’s high quality and has a blue-grey color. “William N. Copley: The Coffin They Carry You Off In” presents a group of paintings from 1956 to 1958 highlighting the artist’s critical yet humorous perspective on both European and American culture. The exhibition gathers works from the artist’s first exhibition, “Paintings by William Copley” (Alexander Iolas Gallery, New York, 1958), as well as examples of his earliest work. Revelatory paintings such as Birdshot (1958) from ICA Miami’s permanent collection and the eponymous The Coffin They Carry You Off In (1957) introduce Copley’s distinct style: cutout and silhouetted paintings in bold colors that demonstrate his interests in history, art history, and the expatriate experience of France. Motifs include the guillotine, Édouard Manet’s 1863 painting Le Déjeuner sur l’herbe (The Luncheon on the Grass), and the Dachshund, in styles that meld French Surrealism and American Pop art. Charline von Heyl talks about the concept and title of her major solo show Snake Eyes. Deichtorhallen Hamburg are presenting an exhibition of the groundbreaking work of Charline von Heyl, organized through a partnership between Deichtorhallen Hamburg and the Hirshhorn Museum and Sculpture Garden, Washington DC in cooperation with the Museum Dhondt-Dhaenens, Deurle. The exhibition will focus on her art since 2005, with Deichtorhallen Hamburg displaying approximately 60 of her most striking works while the Hirshhorn Museum and Museum Dhondt-Dhaenens present more focused surveys, each of about 30 large-scale works. 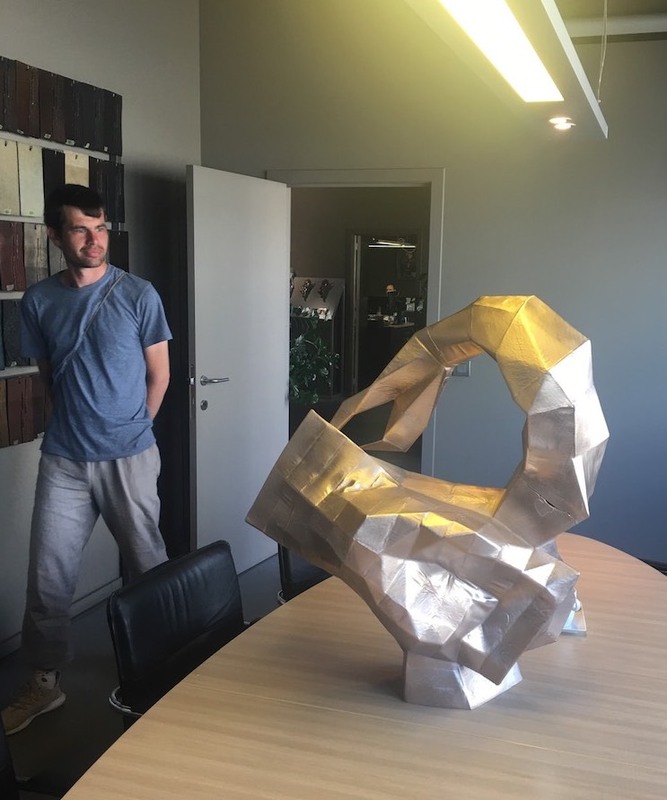 Wout Neutkens sees his first art work in bronze (May 2018). After months of waiting Wout finally got to see the first bronze cast of his art work Scorpio (2017). The originals are made from card board and felt. Stefan Ruitenbeek & Kate Sinha (Keeping it Real Art Critics) are featured in de Volkskrant. Lynn Hershman Leeson, 'Roberta's Construction Chart #2', 1975, acquisition through Paul Van Esch & Partners. Lynn Hershman Leeson included in one of "10 female artist you should know" in Artsy article.